In 2018 pirates attacked vessels at sea 201 times, 21 more than in the previous year, the International Maritime Bureau (IMO) reported in its annual report. 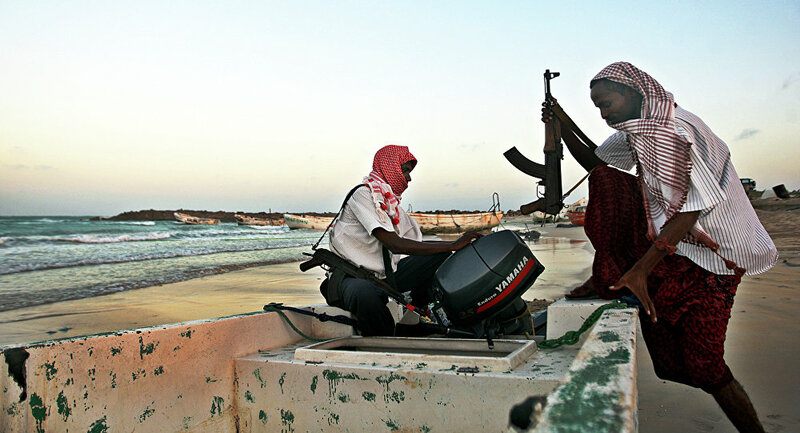 “Around the world, the IMO Piracy Reporting Center detected 201 acts of maritime piracy and armed robberies in 2018, compared to 180 in 2017,” the document says. According to experts, the highest number of attacks was detected in the Strait of Guinea. Last year, the number of pirate attacks in the waters between Côte d’Ivoire and Congo doubled: in this area there were six boat robberies, 13 armed attacks against ships and 130 people of 141 were kidnapped around the world. In the last quarter of 2018, 41 kidnappings were detected near the territorial waters of Nigeria. A total of 36 acts of piracy took place in the Indonesian waters, and six sailors were also kidnapped in 2018. In Malaysia, pirates abducted five people from two fishing boats and there was an armed attack on a tugboat. In the area around the Philippine Islands, ten pirate attacks were reported. On January 2, pirates attacked the freighter MSC Mandy near the coast of Benin, kidnapping six sailors, all Russian nationals.